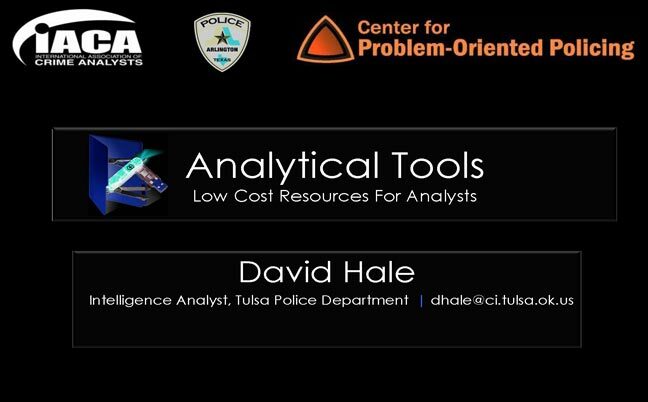 David Hale, Intelligence Analyst, Tulsa Police Department, included dtSearch in his Analytical Tools presentation. 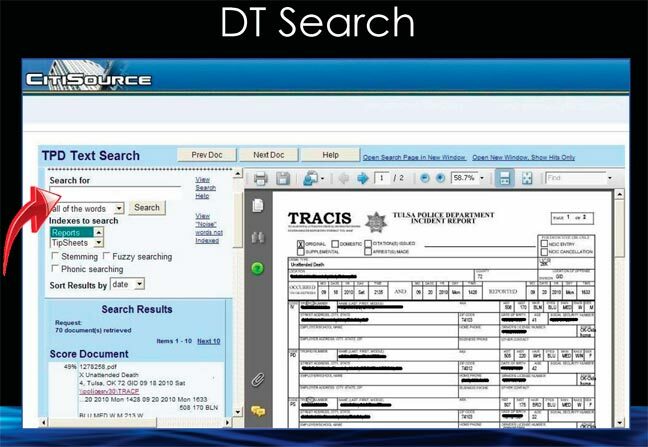 The presentation included usage of dtSearch search results retrieved as by the Tulsa Police Department through CitiSource Intranet application. “We have installed dtSearch so that it is accessed through our CompStat interface,” said Officer Hale. “dtSearch returned suspect information with minimal input in milliseconds” (in contrast to the much longer and ultimately "unsuccessful" search of another search engine).